Posted by jtintle in Deep Space, European Space Agency, Hubble Telescope, NASA, Space Fotos. Posted by jtintle in APoD, Deep Space, Hubble Telescope, NASA, Space Fotos, STScI. Explanation: Like a butterfly, a white dwarf star begins its life by casting off a cocoon that enclosed its former self. In this analogy, however, the Sun would be a caterpillar and the ejected shell of gas would become the prettiest of all! 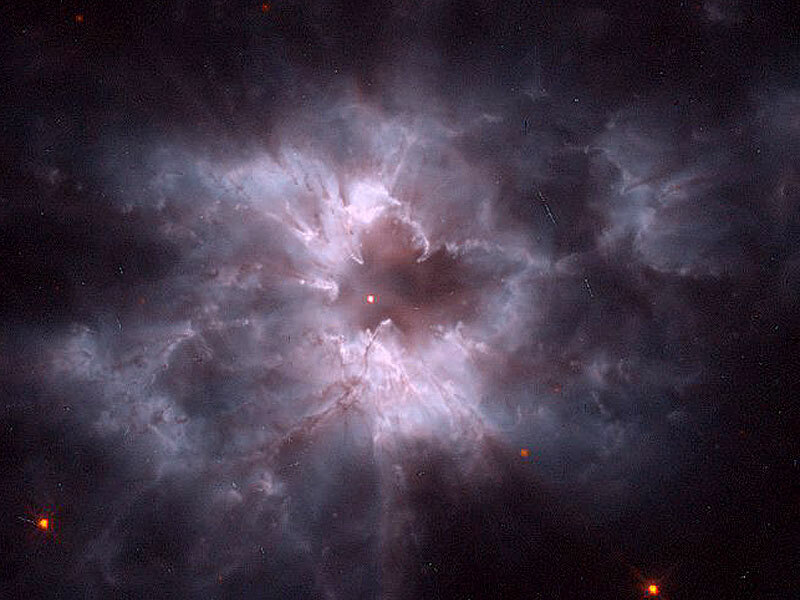 In the above cocoon, the planetary nebula designated NGC 2440, contains one of the hottest white dwarf stars known. 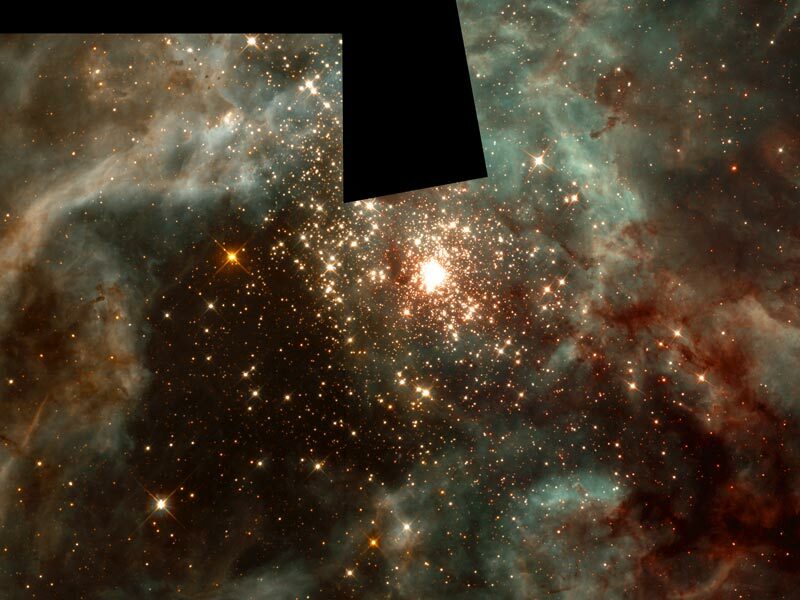 The white dwarf can be seen as the bright dot near the photo’s center. 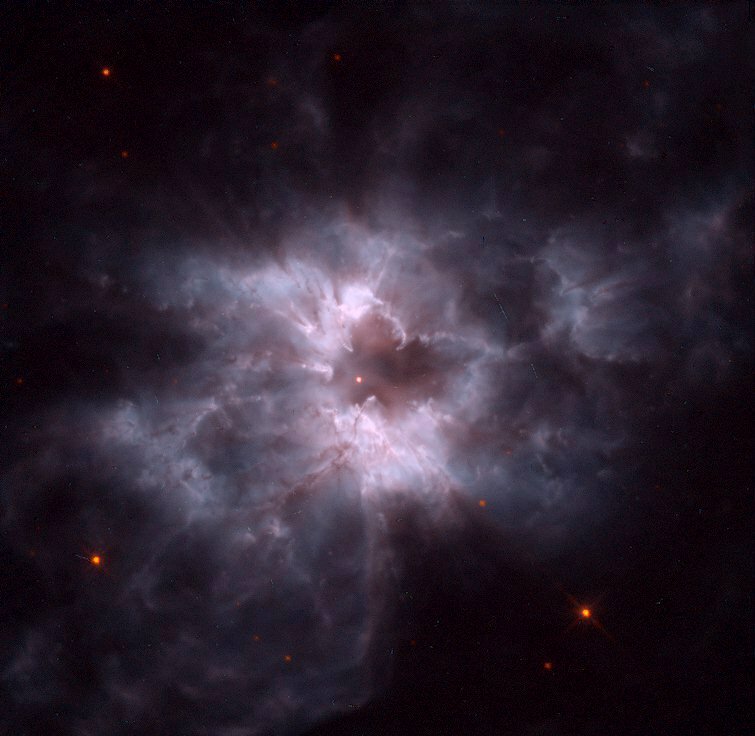 Our Sun will eventually become a “white dwarf butterfly”, but not for another 5 billion years. The above false color image was post-processed by Forrest Hamilton. Posted by jtintle in European Space Agency, Goddard Space Flight Center, Hubble Telescope, JPL, Jupiter, NASA, Space Fotos. Explanation: Jupiter's Great Red Spot is a swirling storm seen for over 300 years, since the beginning of telescopic observations. 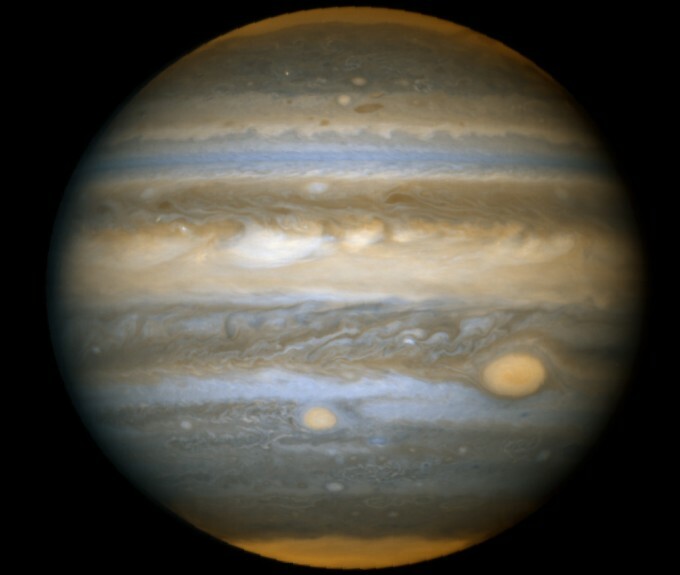 But in February 2006, planetary imager Christopher Go noticed it had been joined by Red Spot Jr – formed as smaller whitish oval-shaped storms merged and then developed the remarkable reddish hue. This sharp Hubble Space Telescope image showing the two salmon-colored Jovian storms was recorded in April. 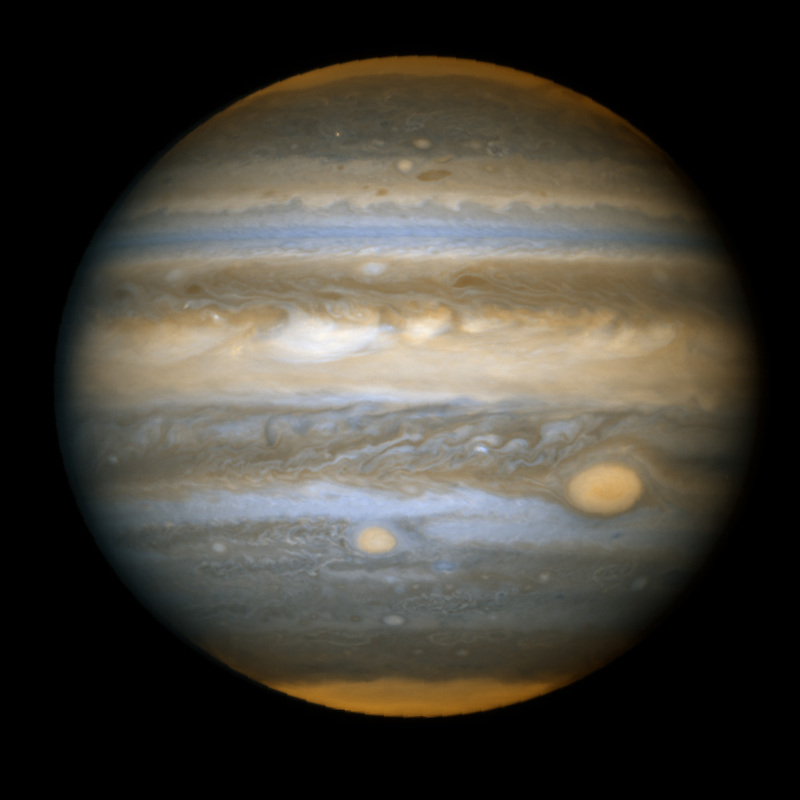 About half the size of the original Red Spot, Red Spot Jr. is similar in diameter to planet Earth. Seen here below and left of the ancient storm system, it trails the Great Red Spot by about an hour as the planet rotates from left to right. While astronomers still don't exactly understand why Jupiter's red spots are red, they do think the appearance of Red Spot Jr. provides evidence for climate change on the Solar System's ruling gas giant. Posted by jtintle in APoD, Comets, European Space Agency, Hubble Telescope, NASA, Space Fotos. Explanation: Periodic comet 73P/Schwassmann-Wachmann 3 has fallen apart before. A cosmic souffle of ice and dust left over from the early solar system, this comet was seen to split into several large pieces during the close-in part of its orbit in 1995. However, this time the comet seems to be rapidly disintegrating with over three dozen fragments, named alphabetically, now stretching several degrees across the sky. 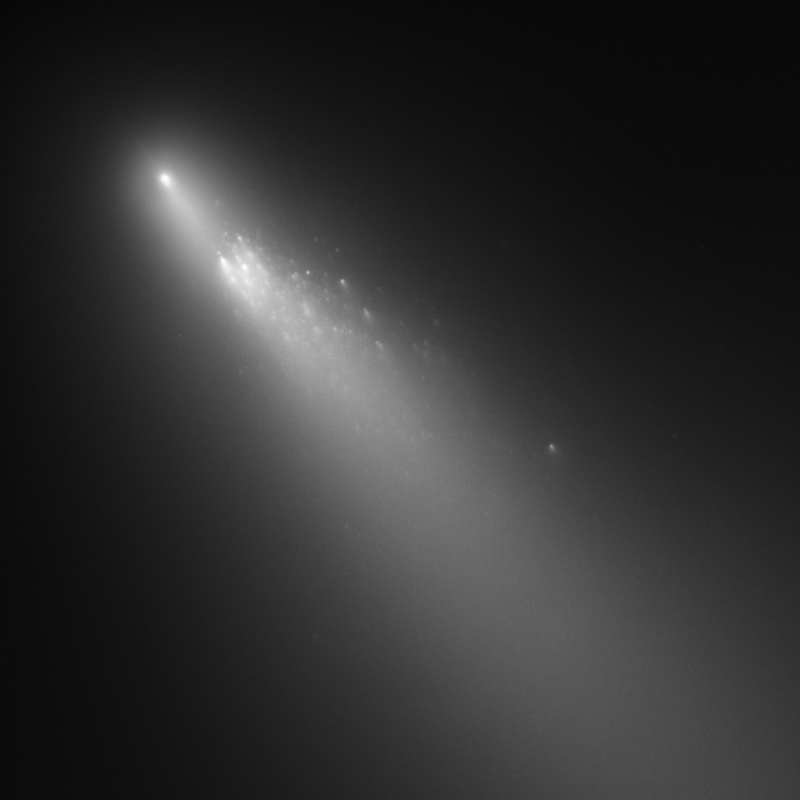 Since comets are relatively fragile, stresses from heat and gravity and outgassing, for example, could be responsible for their tendency to breakup in such a spectacular fashion. On April 18th, the Hubble Space Telescope recorded this sharp view of prolific Fragment B, itself trailing dozens of smaller pieces, each with its own cometary coma and tail. 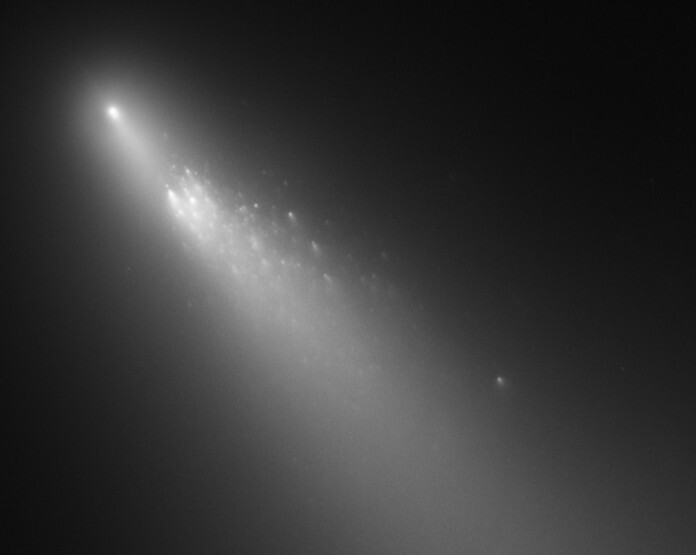 The picture spans over 3,000 kilometers at the comet’s April 18 distance of 32 million kilometers from planet Earth. With its brightest fragment presently too faint to be seen with the naked eye, comet Schwassmann-Wachmann 3 will pass closest to Earth on May 13 at a distance of about 11 million kilometers. Posted by jtintle in APoD, Deep Space, European Space Agency, Hubble Telescope, NASA, Space, Space Fotos. Explanation: Stars themselves can create huge and intricate dust sculptures from the dense and dark molecular clouds from which they are born. The tools the stars use to carve their detailed works are high energy light and fast stellar winds. The heat they generate evaporates the dark molecular dust as well as causing ambient hydrogen gas to disperse and glow red. 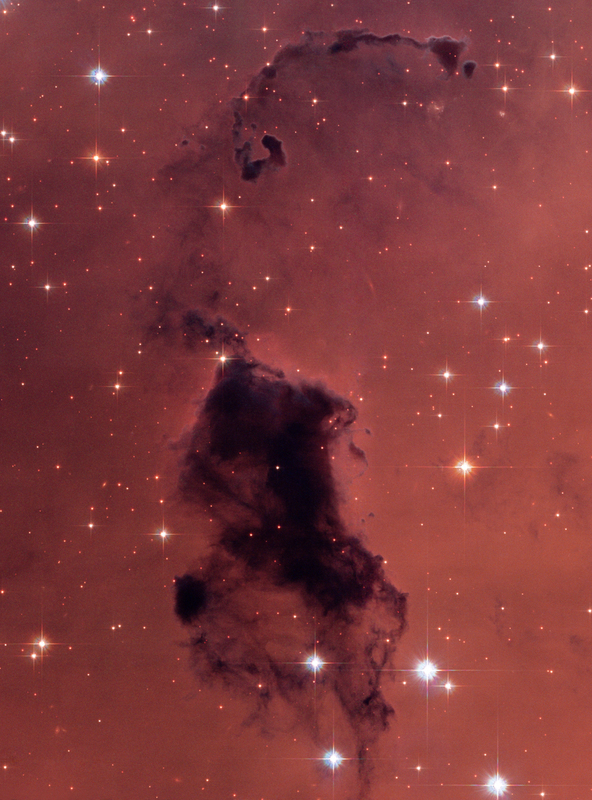 Pictured above, a new open cluster of stars designated IC 1590 is nearing completion around the intricate interstellar mountain named NGC 281. 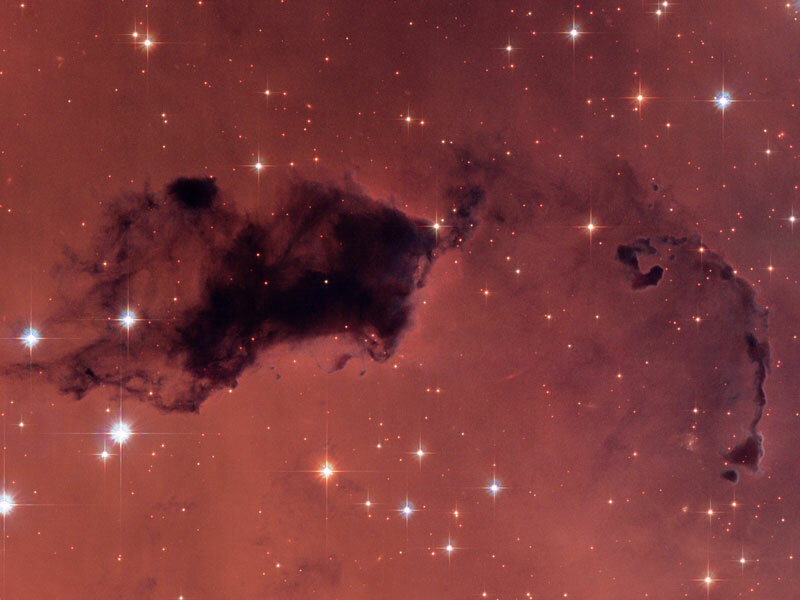 The dust cloud NGC 281, dubbed the Pacman nebula because of its overall shape, is classified as a dense Bok Globule that lies about 10,000 light years distant. 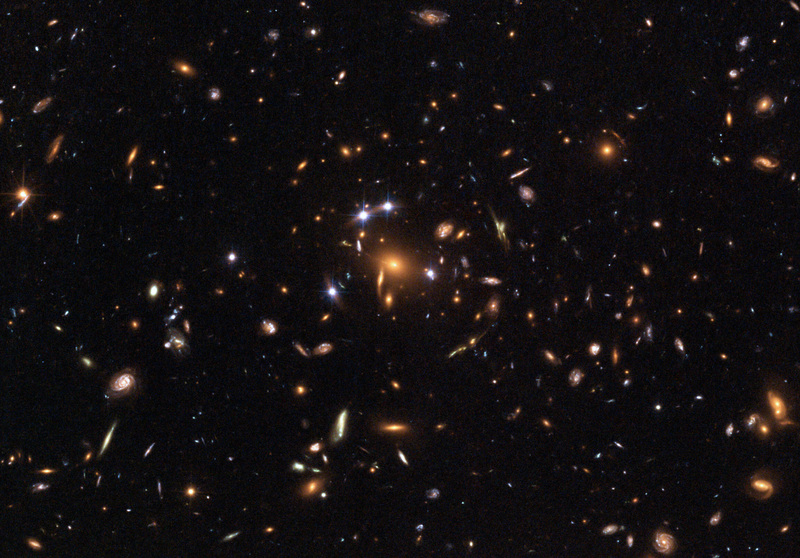 Posted by jtintle in European Space Agency, Hubble Telescope, NASA, Space, Space Fotos. NASA’s Hubble Space Telescope has resolved the “tenth planet,” nicknamed “Xena,” for the first time and has found that it is only just a little larger than Pluto. Though previous ground-based observations suggested that Xena was about 30 percent greater in diameter than Pluto, Hubble observations taken on Dec. 9 and 10, 2005, yield a diameter of 1,490 miles (with an uncertainty of 60 miles) for Xena. Pluto’s diameter, as measured by Hubble, is 1,422 miles. Xena is the large object at the bottom of this artist’s concept. 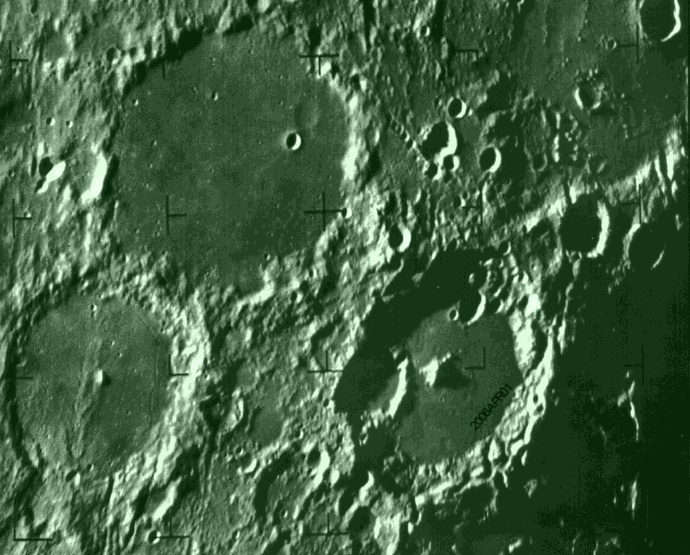 A portion of its surface is lit by the Sun, located in the upper left corner of the image. Xena’s companion, Gabrielle, is located just above and to the left of Xena. Posted by jtintle in APoD, Hubble Telescope, Moon, NASA, Space, Space Fotos, Telescopes. Explanation: Using the new camera on the Hubble Space Telescope, astronomers have been able to confirm that the Moon is made of green cheese. The telling clue was the resolution of a marked date after which the Moon may go bad. Controversy still exists, however, over whether the date resolved is truly an expiration date or just a "sell by" date. "To be cautious, we should completely devour the Moon by tomorrow," a spokesperson advised. 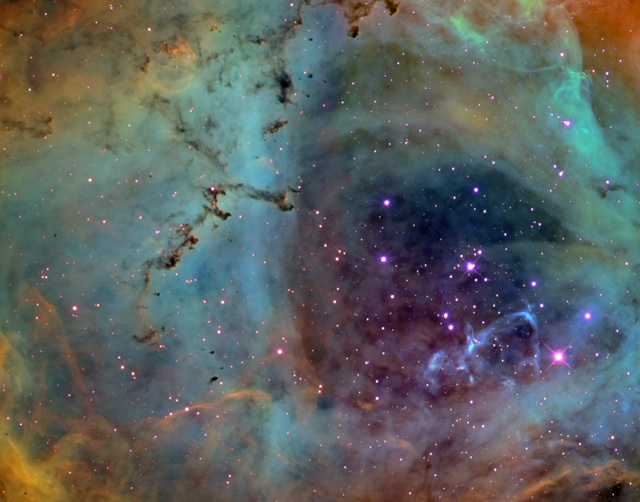 Happy April Fool's Day from the folks at APOD. The above image (slightly altered) was actually taken in 1965 by the Ranger 9 probe minutes before impact. The popular Moon is made of Green Cheese myth can be traced back almost 500 years. It has been used historically in context to indicate a claim so clearly false that no one — not even April Fools — will believe it. Posted by jtintle in Canis Major, Deep Space, Dog Star, European Space Agency, Hubble Telescope, NASA, Sirius, Sirius B, Space Fotos, STScI, University of Leicester, white dwarf star. For astronomers, it’s always been a source of frustration that the nearest white dwarf star is buried in the glow of the brightest star in the nighttime sky. This burned-out stellar remnant is a faint companion to the brilliant blue-white Dog Star, Sirius, located in the winter constellation Canis Major. Now, an international team of astronomers, using NASA’s Hubble Space Telescope to isolate the light from the white dwarf, called Sirius B, has been able to measure precisely the white dwarf’s mass based on how its intense gravitational field alters the wavelengths of light emitted by the star. Sirius B is smaller than the Earth, but much denser with a pravitational field 350,000 times greater than Earth’s, meaning that a 150-pound person would weigh 50 million pounds standing on its surface. 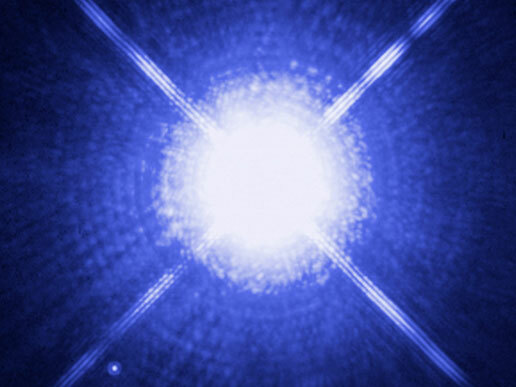 Light from the surface of the white dwarf has to climb out of this gravitational field and is stretched to longer, redder wavelengths of light in the process. This effect, predicted by Einstein’s theory of General Relativity in 1916, is called gravitational redshift. 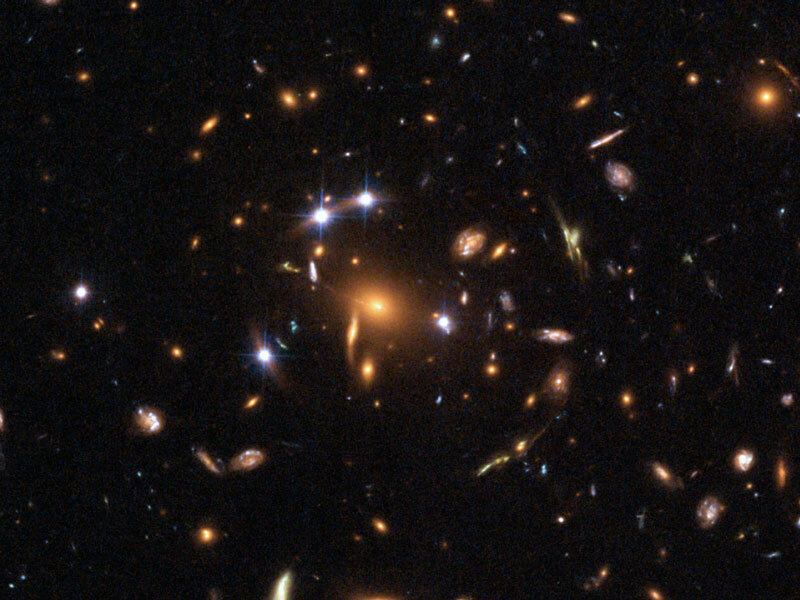 Based on the Hubble measurements of the redshift, Sirius B has a mass that is 98 percent that of our own Sun. Sirius itself has a mass two times that of the Sun and a diameter of 1.5 million miles (2.4 million kilometers). At 8.6 light-years away, Sirius is one of the nearest known stars to Earth. Stargazers have watched Sirius since antiquity. Its diminutive companion, however, was not discovered until 1862. Posted by jtintle in APoD, Deep Space, Hubble Telescope, JPL, Large Magellanic Cloud (LMC), NASA, Nebula, Space Fotos.